Thomas M. Renahan arrived in southern Iraq just three days before the capture of Saddam Hussein in 2003. Later he worked in Baghdad through the dark days of the country’s sectarian violence and then in Iraqi Kurdistan. With inside accounts of two USAID projects and of a Kurdish government ministry, this engrossing and cautionary story highlights efforts to turn Baathist Iraq into a democratic country. 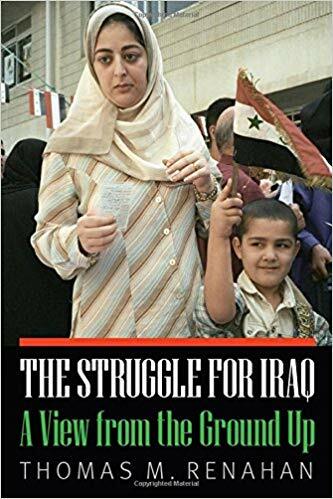 Renahan examines the challenges faced by the Iraqi people and international development staff during this turbulent time, revealing both their successes and frustrations. Drawing on his on-the-ground civilian perspective, Renahan recounts how expatriate staff handled the hardships and dangers as well as the elaborate security required to protect them, how Iraqi staff coped with the personal security risks of working for Coalition organizations, and the street-level mayhem and violence, including the assassinations of close Iraqi friends. In the concluding chapters he explains how the United States can support this process and help resolve the complex problems between the Iraqi government and the independence-minded Kurds, offering hope for the future.